DNA in Finland has achieved more efficient use of the broadcast spectrum with SFN, and more content to customers with DVB-T2, in rolling out the world’s first commerical terrestrial network in SFN mode. TeamCast, Plisch and Ericsson worked with DNA to bring the project to fruition. DNA in Finland has achieved more efficient use of the broadcast spectrum with SFN, and more content to customers with DVB-T2, in rolling out the world’s first commerical terrestrial network in SFN mode, writes David Stewart. Project partners TeamCast, Plisch and Ericsson worked with DNA to create a solution for its new terrestrial HDTV broadcast network, which demonstrated a completely new type of convergence between the telecom and broadcasting worlds. The solution hinged on the full implementation of the new terrestrial television broadcast standard DVB-T2 in its spectrally-efficient single frequency network (SFN) mode. This was a world first – and the network transmitted higher data rates in a given bandwidth than its predecessor DVB-T, more robustly, and more cost-effectively. DNA’s terrestrial HDTV network uses its existing 3G mobile telecom transmitter sites and new planning rules, and the broadcasts are transmitted in the VHF frequency band. One of the key advantages of DVB-T2 is the ability for all transmitters to operate on the same frequency, in SFN mode (single frequency network), which is very efficient spectrum-wise. On top of this there is also its capability to transmit higher data rates, which is especially important for transmitting HDTV and 3DTV services. This new broadcast standard is 30% more efficient in terms of channel spectrum utilisation than the first generation DVB-T.
Digital television network operators such as DNA in Finland have taken up the challenge to deploy this new standard in the SFN mode. However, commercial considerations in Finland meant that the new networks for terrestrial HDTV based on SFN and DVB-T2, have had to be ready in record time. One of the critical issues in this type of rapid network deployment is the assured availability of the equipment piece parts that make up the network – in particular, broadcast transmitters and equipment adapted to this new DVB-T2 standard. In practice, a new technical standard that exists on paper is a long way from the reality of a commercial HDTV service, which must provide programmes of the highest quality with the same reliability as the mature and well-proven legacy standards. The ultimate technical and business challenges here are how to reliably source and deploy the key functional modules and to ensure that they can be easily integrated into both new and existing networks. It was in rising to these challenges that TeamCast and Plisch played key roles in the deployment of the SFN networks. In less than 18 months TeamCast developed a range of DVB-T2 modulators and associative products, which met the demanding functional specifications for the network operating in SFN mode, and the requirements for quality and reliability of service. DNA has in recent years shown strongest growth in the Finnish mobile market, and by acquiring the capital region cable operator Welho last year, DNA became the largest cable operator in the country. The Finnish operator wanted to expand its television business to cover all parts of the country — and starting nationwide television distribution in its own terrestrial network with enough capacity for HDTV was the answer. The architecture of the network defined by DNA does not follow the conventional rules for DTTV networks that use the deployment of high power transmitters operating within a classical broadcast frequency plan. DNA has chosen to build its network using the existing network of 3G mobile telecom transmitter sites and to operate its multiplexes in SFN mode – claimed to be the first of its kind in the world. DNA called in systems integrator Ericsson to identify, select, purchase and install the DVB-T2 broadcast transmitters according to the requirements of the DNA plan. Ericsson’s solution was to use the new DVB-T2 standard DVB-T2, which supports the spectrally efficient SFN operation, where neighbouring transmitters can use the same channels. For the supply of transmitters Ericsson turned to the German manufacturer Plisch who, together with long-standing partner TeamCast, integrated the latest technology DVB-T2 modulators into its equipment and to set up the SFN mode. Building the network on the existing mobile network base stations meant lower masts and lower ERP (effective radiated power). DNA was even able to use the same IP transmission backbone that they use for their mobile service. The signal is transmitted in VHF broadcast spectrum, and IP technology is used for the TV transmission, as well. In terms of the challenge to DNA and Finland, the initial aim of the project was to cover 1.5 million households (60% of the country) as quickly as possible.  In order to help this massive deployment with its critical timeline, TeamCast proposed its DVB-T2 modulator, having undertaken intensive development and testing of its capabilities and compliance to operate efficiently in SFN networks. This advanced DVB-T2 module exhibits also Multiple Inputs, Single Output (MISO) transmission modes and Multi-service layered modulation allowing the processing of eight parallel Physical Layer Pipe inputs (Multi-PLP). The implementation of these sophisticated technical parameters was able to meet the demanding time and performance requirements of the project, suitable for Finland’s DTTV rollout. DVB-T2 employs the same LPDC (Low Density Parity Check) error correcting codes as used in DVB-S2 for excellent performance in the presence of high noise levels and interference. A significant number of innovative features such as rotated constellation demodulation are also included to improve the reliability and efficiency of the system. Pekka Viitanen, technical DVB-T2 project manager at DNA, says: ”Our target is to cover more than 80% of Finnish households by the end of 2011; TeamCast equipment has fulfilled our expectations from the technology piloting in early 2010 to the current commercial network roll-out”. The success of the project is creating new ways of thinking for transmitter deployment and producing new opportunities for more efficient frequency planning around the world. The solution has made possible the rapid roll-out of terrestrial networks for new multimedia services like HDTV and 3DTV, and has created a new business case for commercial activities in the market sector.